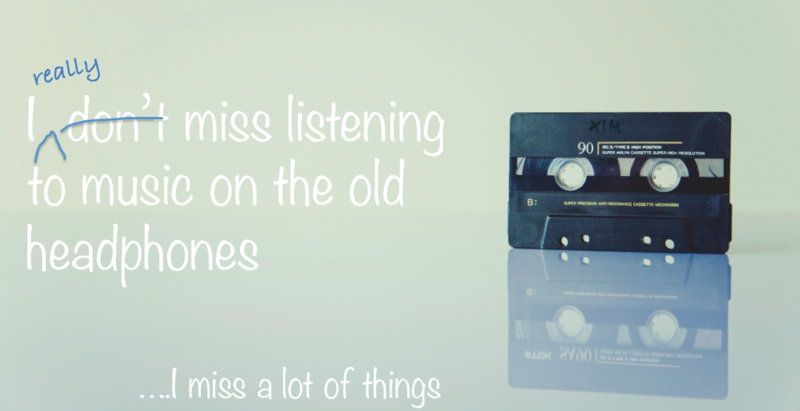 I miss listening to the music on the headphones - B.A.B.E. When I was a teenager (showing my delicate age here) I used to think it was cool to hang in HMV and independent music stores listening to cool tunes on those huge headphones they offered – the ones that are pretty much like voiceover headphones. I felt like the Queen of the castle every time I discovered (insert Angela with a perm and awful 80’s clothes) a new musician, and proudly took my cello plastic wrapped CD up to the counter to purchase it. I would head home, desperate to unravel that little piece of goodness, to flick through the paper book with the lyrics, and listen to it over and over again until I either caused a scratch in the CD or had my parents firmly implore me to change the music over. Those were the days. Recently I’ve started to wonder if those will be the days of the cinema too. I know this question isn’t a new one. In fact, some of our directing greats of our era were just discussing this very question during a Hollywood Reporter Roundtable this very year. It comes up a lot. But what would our world look like if we didn’t get to go to the cinema anymore? What a complete lack of trust I would have on humanity if, like the drive in cinema, one day cinemas in general became a thing of the past. A favourite cinema of mine closed down years ago in Australia, well before I’d moved to London. It was being destroyed to make way for apartments. I’ll never remember, or care to remember what those apartments look like inside, but I’ll never forget that cinema. The old squeaky seats, the long open hallways at either side where you’d walk down to secure the best possible seat. The brilliant sounds amplified around your head. No, I’ll never forget that. And the drive in was the same. Going to the drive in was like being given candy on a school night. It was utter bliss, especially when I was old enough that I could sneak off at interval and sit in the seats out front without being stuck in the backseat of the car with mum and dad. 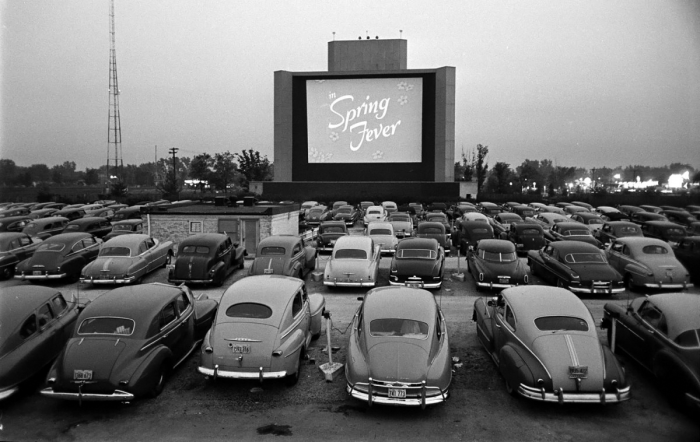 Where have all those drive ins gone? Now I’m not saying I’m not a fan of popups, and experiential activities, and Secret Cinema and all that jazz. But the one thing about that is it’s typically a mass experience. You are there with literally 100’s of others and they’ll all be retelling the story the next day…and the shows now go on for months, whereas the first Secret Cinema I went to only went on for four days from memory. Now that is secret (shhh, tell noone). I believe, that no matter how much we allow everyone to be able to film on their smartphones, and create films anywhere and everywhere, many now viewable exclusively for our Netflix and Amazon Prime viewing pleasure, that we shouldn’t let the old ways die. And I am fully aware that of course the cinemas owe us the responsibility to keep their prices affordable (as Secret Cinema certainly hasn’t!!) to allow this experience to survive the years past our great great grandkids lives. But if we stop going then what chance do they have to keep their prices reasonable. So if you value what cinema truly means, support your local. Buy a membership to a PictureHouse, or go and sign the Curzon petition to save it in Soho, or see a classic at the Prince Charles. But don’t let the greats die along with the silver screen. Cinema is great. Our actors on the big screen are wonderful. Not everything needs to change after all, right?…. (I say on EU Referendum day).